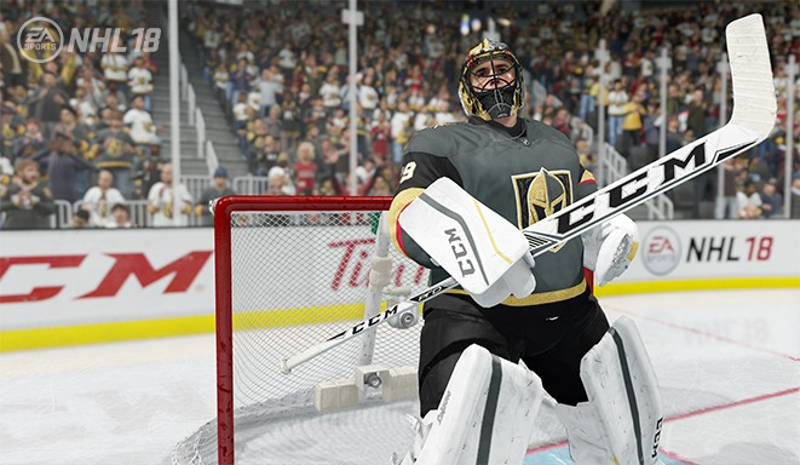 NHL 18 has today made its way into the EA Access Vault on Xbox One – just in time for the start of the Stanley Cup Playoffs. NHL 18 is now the third EA Sports game from 2017 to have reached the Vault joining Madden NFL 18 and NBA Live 18 available in full to all subscribers. EA Access is currently exclusive to Xbox One with Sony declining to offer the service on PS4 despite its remarkable value. EA executives have hinted that may change this year however. For $30 a year or $5 month-to-month, members get unlimited access to the back library of EA games on the console which in addition to NHL 18, NBA Live 18 and Madden NFL 18 now includes all earlier XB1 sports titles plus the likes of Battlefield 1, Titanfall 2, Skate 3, Mirror’s Edge Catalyst, Star Wars Battlefront, and many others. There’s also the 10 hour trials with every EA game that begin five days before release and 10% savings on all digital purchases whether it be the actual games or microtransactions within them. The arrival of NHL 18 to the Vault comes a couple weeks later than the series has landed on the service the past two years which were late March. FIFA 18 will be the next to join the group in the Vault and that will likely happen either late this month or early next.